Badass, bold and downright ballsy! 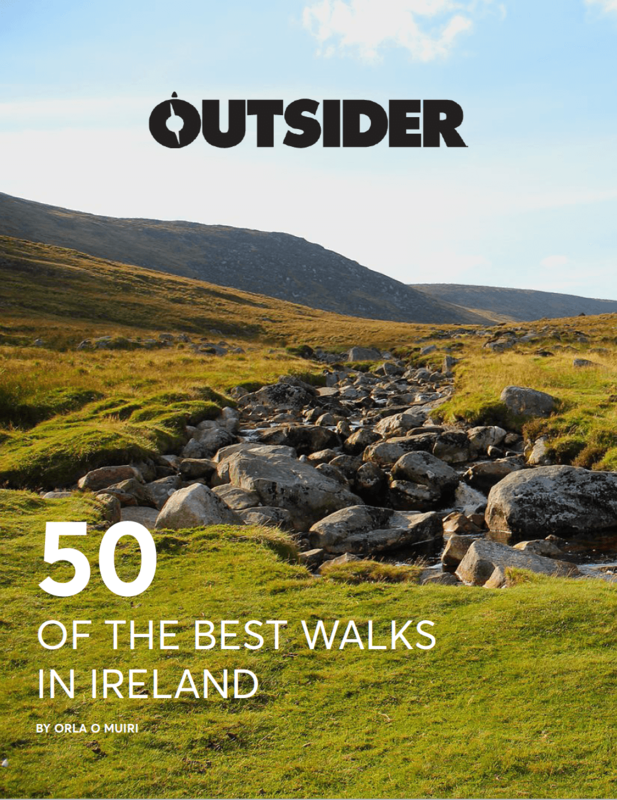 We put the call out in the last issue of Outsider for you, our readers, to let us know about the most amazing men from the Irish outdoor and adventure scene in 2018! And you didn’t let us down. We were bowled over by both the quality and quantity of the stories you sent us. So sit down, make yourself comfortable and read the spine-tingling and inspirational stories of these extraordinary men who are now officially on the long list of nominees for the #OutsiderAwards. If you’re a nominee, consider yourself cordially invited to our sixth annual awards ceremony on the evening of Wednesday 30 January 2019 in the Sugar Club, Dublin. We are thrilled skinny to announce that our fab title sponsors Just Eat, Columbia Sportswear and Active Iron are on board to help us celebrate all that is great and good about the Irish adventure scene, so it’s guaranteed to be a good party. You can buy tickets to the awards here. 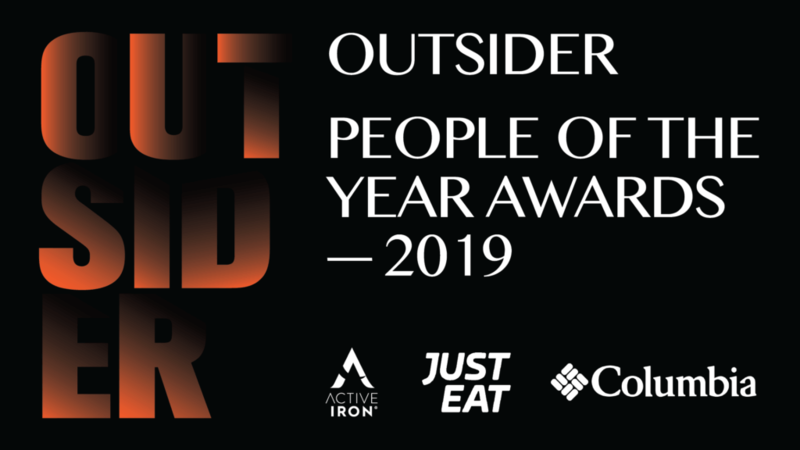 The following legends are our nominees for the Outsider Man of the Year brought to you by Columbia Sportswear. 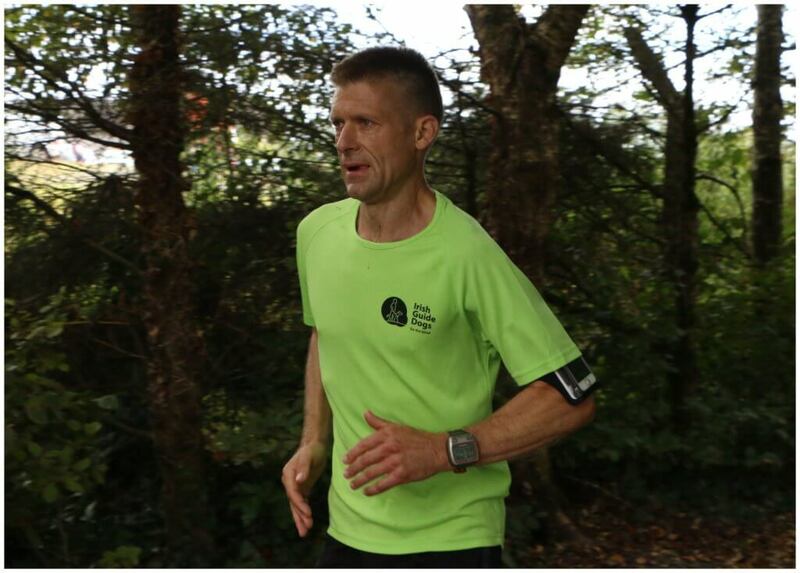 Alex O’Shea (44) pulled off the unfathomable this year – 32 marathons in 32 counties in 16 days. The Cork firefighter is a machine. He ran his first marathon at the age of 40 in full fire gear. And he did so in a time of 3 hours, 41 minutes and 10 seconds. Quickly discovering he had a talent for endurance events, he went on to compete for Ireland at the 100km World Championships in Spain in 2016. He also won silver medals in both 50km and 24-hour national championship events in 2017. His latest accomplishment happened in September 2018 when he tore up the rulebook with his feat of 32 marathons 16 days to raise money for Irish Guide Dogs. Interestingly, Alex was not a natural athlete growing up. “As a child, I wasn’t the runner in the family. My sister was. She was the one who came home with medals and I was always absolutely last. I never progressed at any level in sports until I became an adult. When I did my first marathon at the age of 40, I did it for charity and I ran in my full fire gear. I was quite insecure going into it. But I ended up doing it in a really good time. I took nearly an hour off the Guinness World Record. And people started saying to me, ‘If you can do that in that time, what could you do without fire gear on?’ It took a full year for me to run my next one and I ran it in 2 hours 48 minutes,” says Alex. I could have done more and I could have done some of them faster. When you’re the person who does something first, you are the person to break the ceiling. Sixty-three days, six hours and 25 minutes. 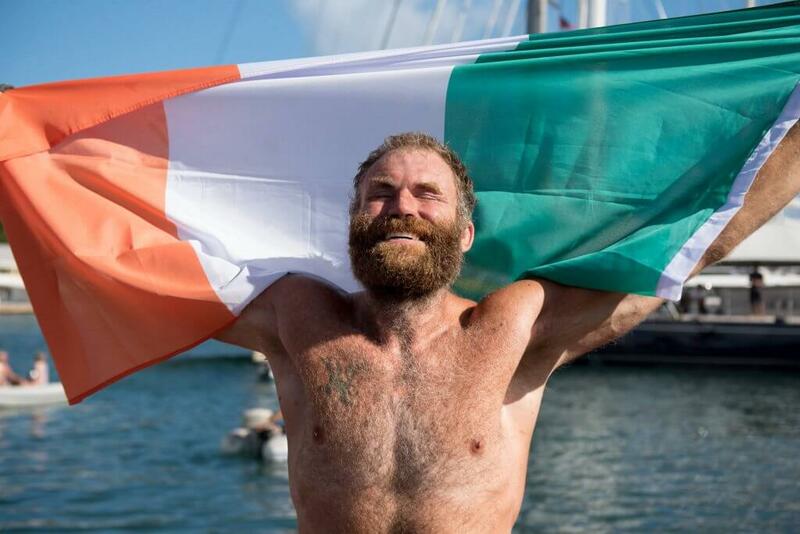 That is how long Galway man Damian Browne (37) spent alone at sea as he completed the 4,800km Talisker Whiskey Atlantic Challenge rowing race. The former professional rugby player went from having no rowing experience to rowing 12 hours a day for almost 64 days. They say get comfortable being uncomfortable, and that is exactly what Damian did. “The Atlantic is just a monster; you feel vulnerable at all times. She’s relentless. The minute you think you have a foothold, that foothold gets knocked from under you. You get knocked down and you have to pick yourself back up again and again. I said afterwards, it’s never a fight you are going to win but you might survive it,” says Damian. I had loads of pressure and salt sores on my backside. I couldn’t sit down for more than 10 minutes without being in agony. It was like rowing on sandpaper. However, there were moments of bliss out there. In July 2016, Don Hannon (45) from Sandyford, Dublin, donated half of his liver to his sister, Therese. 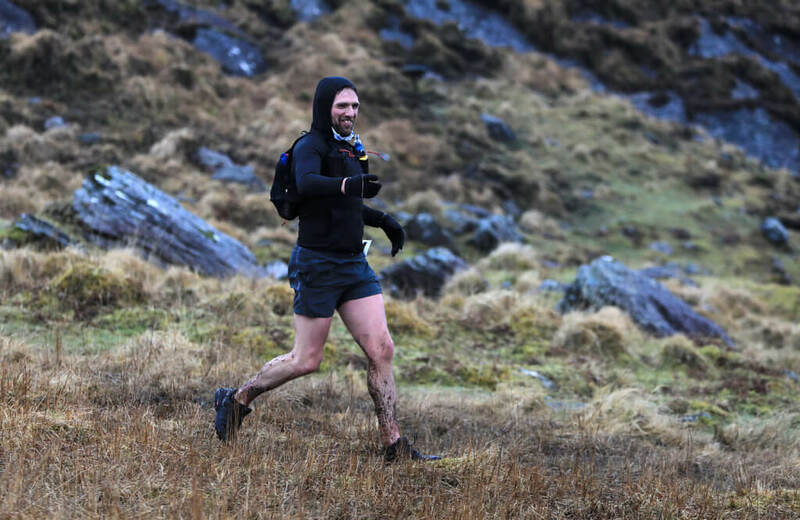 Less than two years after that operation, on 31 March 2018, he set off to run the Ireland Way from Cork to the Causeway Coast. That’s more than 1,000km in 15 days over 14 mountain ranges. His aim? To encourage people to become organ donors. What ensued was a tale of muck, sweat, tears and stubborn determination to finish, despite the odds being stacked against him. You think you’re superman and it turns out you are not. I was spending 10 to 11 hours a day running in an upright position. All this fluid ended up pooling in the bottom of my legs and it turned into a thick gel, like toothpaste. Don recounts, “All was going well for the first four or five days, and then my legs started to swell. You think you’re superman and it turns out you are not. I was spending 10 to 11 hours a day running in an upright position. All this fluid ended up pooling in the bottom of my legs and it turned into a thick gel, like toothpaste. My feet and ankles had swollen. I had to take a day off on day six because the pain was so bad. “My sister would ring me every morning without fail and say, ‘You know it’s OK to stop. We’re all proud of you. You don’t need to do anymore.’ But I know what I’m like. If I didn’t finish it I would of have had to go back and do it again. “A chance encounter with a physio saved me. He told me to get the crew to put hot towels around the bottom portions of my legs and basically squeeze them like you would a tube of toothpaste to get the fluid back in around the knees. It took six hours and it was torture but I got back up the next day and ran 70km. From there, I went on and did 70km+, 90km+, 110km+, etc. You would think after winning a Deca Ironman in 2017 (10 Ironman races in 10 days), you’d be pretty smug, settle onto the couch for the year and spend your days eating, drinking and watching box-sets guilt-free. Gerard Prendergast (38) from Ballymun, Dublin, is not really that kind of guy though. Instead, he has spent 2018 doing 52 Ironman distances in 52 weeks. We chose this charity because it fits in with our family. I do it for my brother-in-law, Michael. He passed away by suicide last May. Doing a challenge like this is quite different from entering a series of races. 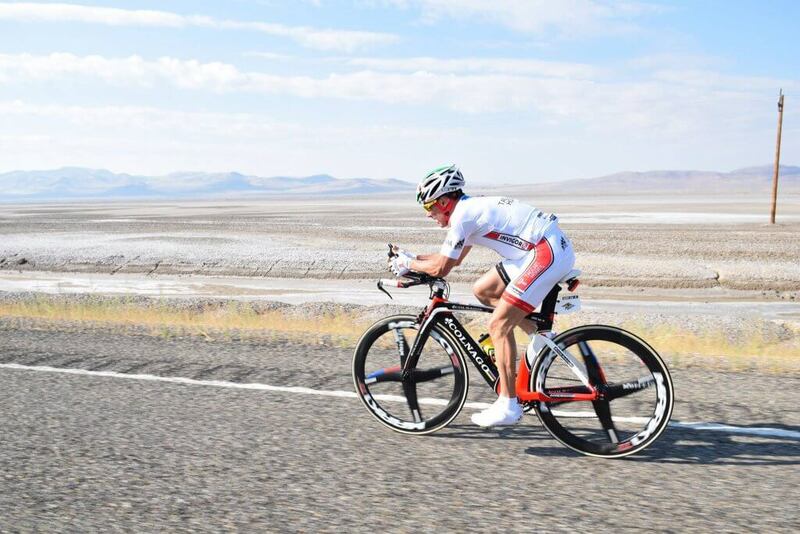 “Physically it’s easier because the pace is more relaxed, but mentally it is a lot harder than a competitive Ironman. When you are doing an actual race, you have the crowds all around you and the other competitors to distract you as well,” says Ger. The world of ultra-running is a funny one. For some reason that we can only surmise, this sport seems to attract a number of highly intelligent individuals to the start lines of its races. Its latest victim/recruit is Wexford’s Paddy O’Leary (30), an oncology post-doctoral researcher at UCSF in San Francisco, and he is storming up the rankings. Last year, Paddy ran the Boston Marathon in 2hrs 30mins. He was the first Irishman home and came 60th overall. 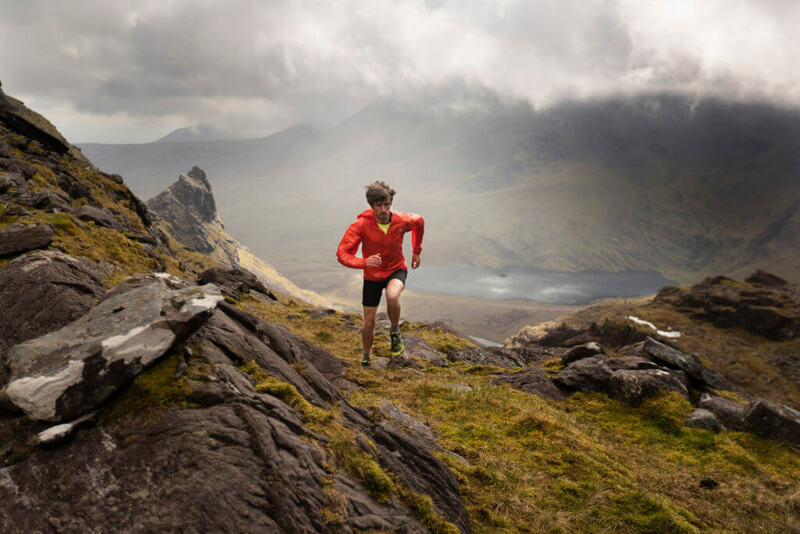 He was also part of the Irish team for the Trail Running World Championships in 2018. He has competed in the 100km CCC (part of the infamous UTMB family), came fifth in the North Face 50, and most recently came sixth in the 120km Lavaredo Ultra Trail. “The Lavaredo Ultra Trail was my big goal for 2018. At 120km, it was my longest race to date and my first jaunt through the night. I went out relatively conservatively for the first half of the race. Through the night section, I dropped back to around 12th place. I tried to capitalise on the carnage ahead of me. I wasn’t able to close the gap between me and the Italian guy ahead of me, but I managed to hold off the other 1,500 runners that I was convinced were chasing me down. “Then between 60km and 80km, just as the light was coming up, I had a surge of energy and went for it. I tried to capitalise on the carnage ahead of me. I wasn’t able to close the gap between me and the Italian guy ahead of me, but I managed to hold off the other 1,500 runners that I was convinced were chasing me down. That thought kept me pushing hard and closing strong, so it was a blessing in disguise,” says Paddy. Here at Outsider, we love nothing more than a sport on the fringes. We often find that they have a certain magic, with awesome little communities sprouting around them that many of the mainstream sports lack. Paddy seems to agree. “Whether you’re out there on your own or with a group of friends, you get up on top of the mountain and see some of the most spectacular views. It’s also a really great community. You meet people from all over the world. You run into everyone, from the person who’s trying to win to the person just trying to make the cut-off,” he says. For decades, K2, standing at a mighty 8,611m, has pushed climbers and mountaineers to their limits, mentally, physically and emotionally. With just over 300 successful summits and more than 77 fatalities, the stats speak for themselves. For every four people that reach the summit, one dies. Yet still they come, still they risk it all to climb and try to conquer and tame K2. But this year, two Irish men showed up on the Pakistani-Chinese border in July to add their names to the history books. Within hours of each other both successfully did. One of those was Jason Black (47), from Donegal. I now know why there are only a few more than 300 mountaineers in the world that have gotten there, because beyond the Black Pyramid and House’s Chimney, it is a whole different world. “I now know why there are only a few more than 300 mountaineers in the world that have gotten there, because beyond the Black Pyramid and House’s Chimney, it is a whole different world. It’s not the big long slog of an 8,000m mountain; the technical aspect of climbing K2 is phenomenal. 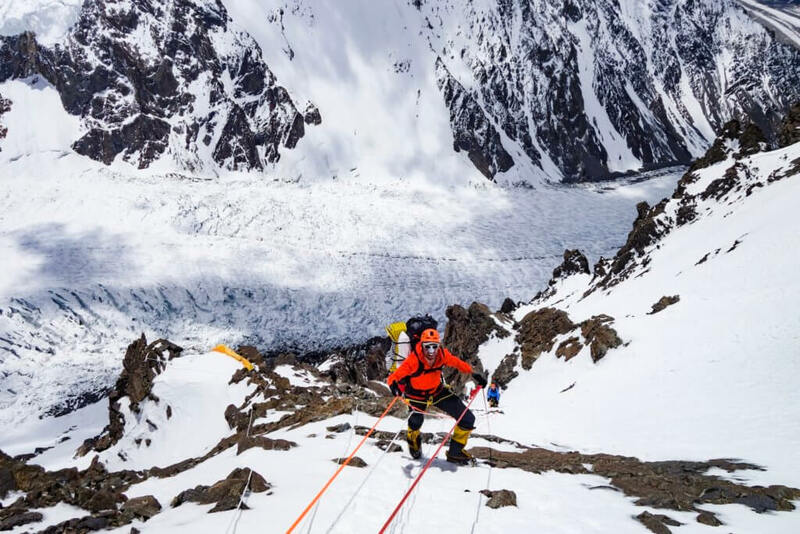 The Bottleneck for me was so treacherous, so technical and required every piece of mountaineering skill that was in my body to get up it,” says Jason. Noel Hanna is your stereotypical old-school mountaineer. He is a complete purist and has dedicated his life to the mountains. Despite a CV that includes multiple first ascents, he is incredibly humble, down-playing his epic feats as nothing out of the ordinary. However, Noel is far from ordinary. He is brave, focused, and is one of our country’s most experienced mountaineers. 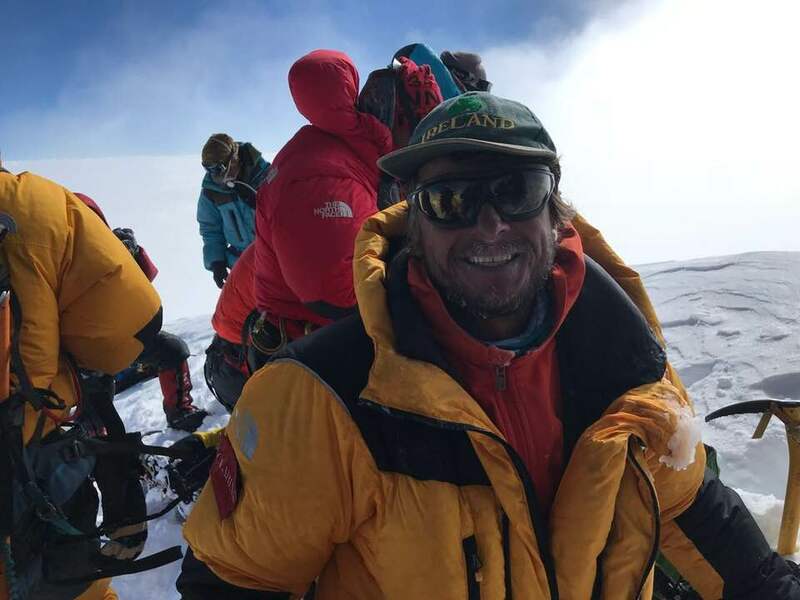 The 51-year-old has summited Everest eight times and has made several first ascents of unclimbed peaks around the world. But in 2018, he has ticked off arguably the most dangerous mountain of them all, K2, on a non-guided expedition. The 8,611m peak on the Pakistani-Chinese border has less than 400 successful summits, compared to Everest’s 4,000. One person dies on this mountain for every four who reach the summit. On 21 July the mountain guide from Dromara, Co Down, became one of the few climbers who have summited the ‘Savage Mountain’. I had the most perfect climb ever. I was at the summit at 8am that morning and by 9 pm that night the three of us that were climbing together were back down at Base Camp enjoying a beer. “I had the most perfect climb ever. I was at the summit at 8am that morning and by 9 pm that night the three of us that were climbing together were back down at Base Camp enjoying a beer. I always take a bottle of Moet champagne with me on every mountain. We didn’t open it on the summit of K2, but when we got back at Base Camp, one of the Chinese climbers came in at 12:30 at night and I opened the bottle of champagne there. “It all boils down to the weather. We had a window of about 10 days, and that’s basically unheard of. You usually get two or three days where you have to rush up and do a summit attempt. This year, everything went according to plan. There were a couple of big teams on the mountain, so both Sherpa and teams worked together to put the ropes in. We had 10 in our team and all 10 summited,” says Noel. Noel is the first Irish person to summit and return from K2. (Ger McDonnell summited in 2008 but was tragically killed during the descent.) However, titles like that don’t mean much to him. “I didn’t care if I was the 20th Irish person to summit; it was just for myself,” he says. 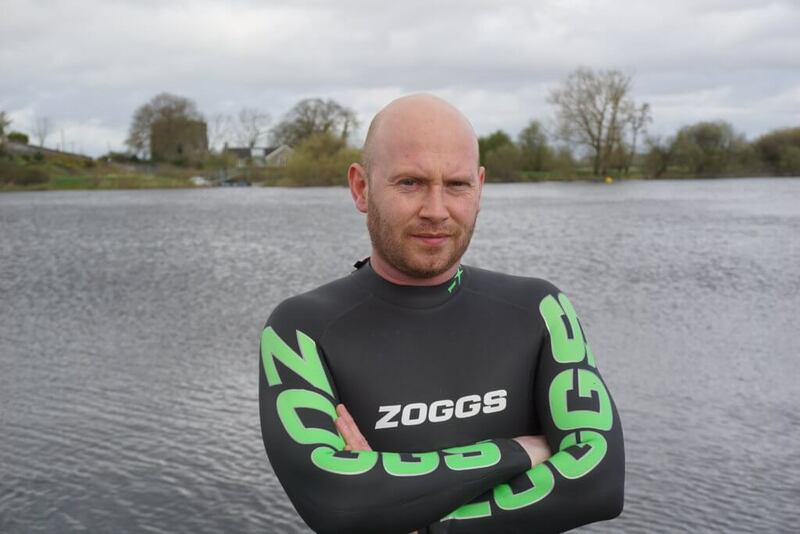 Athlone’s Patrick McDonnell (34) has become the first Irish man (and second person ever) to swim the length of the Shannon. Fourteen days, 245km, roughly 200,000 strokes, and 70,000 breaths of air is what it took Patrick to swim the longest river in Ireland and Britain. That’s the equivalent of swimming 9,000 lengths of a 25m pool, so it’s no surprise that this intense activity made him lose 4.5kg in just two weeks. 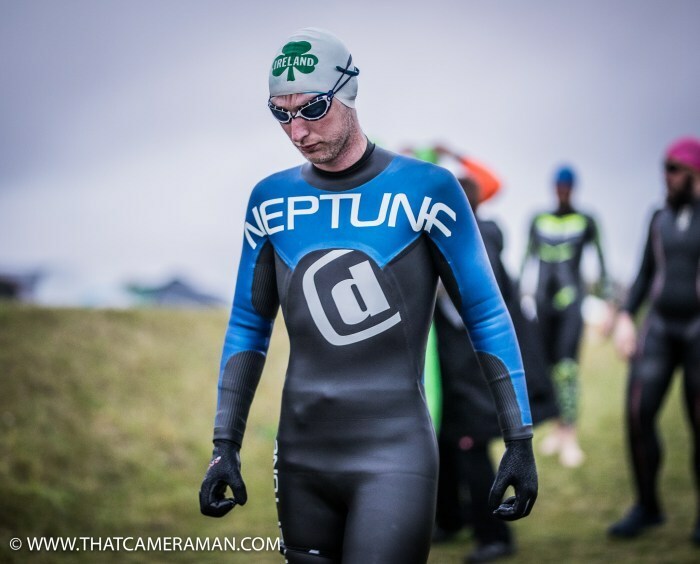 Patrick who lives in Cloghan, Co Offaly, completed the swim to raise money for four great causes; the Irish Cancer Society, Pieta House and two local community initiatives, Cloghan Hall Development Fund and Riverside AFC. The lifeguard and fitness instructor covered 30km to 40km a day, completing the 245km swim in a very impressive 14 days. He spent a minimum of six to eight hours in the water a day and a maximum of 10 to 12 hours, starting in Dowra, Co Cavan, and making his way all the way to Limerick. There were a few moments where I’d get a bit lost, where the focus went or I got a bit annoyed or the wind picked up when I wasn’t expecting it to, but you just have to deal with it. The real challenge of a swim like this is staving off the monotony of being in the water for so long every day. Describing how he coped, Patrick says, “It was a lot to do with focus. I just occupied my mind thinking of jobs I had to finish, of jobs I did beforehand. Things like if there were any movies coming out shortly that I could look forward to. I even had a playlist in my head with a few songs that I’d start singing away to. The long-time triathlete took to the pool at the Killarney Sports and Leisure Centre for 790 lengths. Then it was onto the bike for five laps around the Ring of Kerry. Finally, all that was left was running five marathons in a row. Paul took on this epic challenge in a bid to raise money for the Pieta House, the suicide- and self-harm prevention charity. For Pieta House, €1,000 equals 25 free counselling sessions for those in need and, so far, Paul’s triathlon has raised €1,611.30. The basic thing is there is a start point and a finish point and you have to get from one to the other. There’s no answer to it, it’s just keep going until you reach the end. Anyone can do it, it’s easy. The enormity of the mental and physical pain Paul went through was, in his opinion, to be expected. His feet and ankles swelled up so much that he had to cut out the sides of his trainers in order to fit his feet into them. His toenails fell off. Blisters caused almost unbearable agony and hallucinations plagued his mind. However, fuelled both by stubbornness and love for Pieta House, Paul completed his challenge on Monday 8 July in about 141 hours. “The basic thing is there is a start point and a finish point and you have to get from one to the other. There’s no answer to it, it’s just keep going until you reach the end. Anyone can do it, it’s easy,” laughs Paul. One way to describe 59-year-old Derry cyclist Joe Barr is hard as nails. Beginning his long-distance career in 2009, Joe entered the inaugural Race Around Ireland in order to raise money for cancer research while his son (successfully) battled cancer. Joe ended up winning the event, and this year, he claimed the title for the second time. Joe slept for only three hours over five days as he cycled 2,157km non-stop, spending more than 22 hours per day on the saddle. Joe cycled across the finish line at Trim, Co Meath, at 12:39am after 104 hours and three minutes of racing, powering through intense climbs, searing physical pain and sleep deprivation to secure the first-place finish. 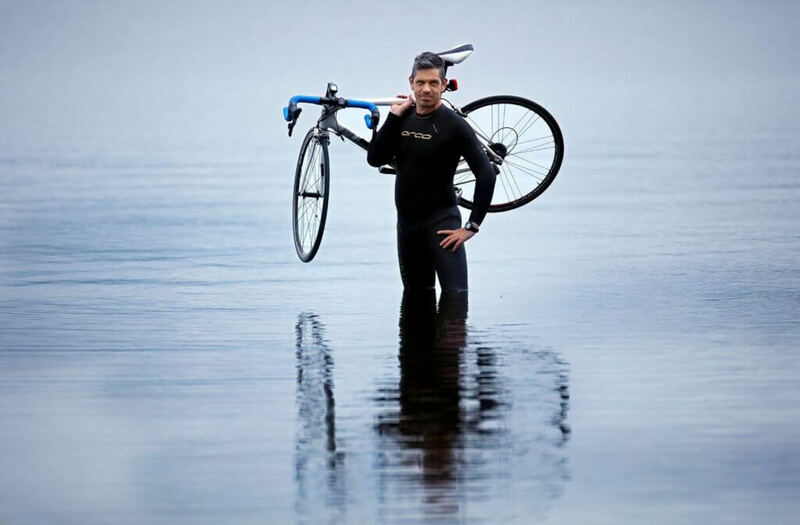 This Race Around Ireland title is one of a long list of endurance cycling achievements for Joe who is is also no stranger to the podium, having won more than 500 races worldwide and taken home countless medals. In fact, last year he took the top spot in the Ultra Cycling World Cup. I can either be the hammer or the nail, and some days I’m the hammer, for sure, but most days I’m the nails because I don’t view myself as being tough. I view myself as being resilient and for me the success that has won some of these races is a blend of mental, emotional and physical resilience. Taking on the near non-stop cycle around the circumference of Ireland, Joe made it a point to push his body, mind, and soul to their absolute limits, constantly reminding himself that his failures are the biggest part of his phenomenal successes in the sport of endurance cycling. Corkman Richard Nunan (48) and Zoran Škrba (40), originally from Bosnia Herzegovina, but living in Ireland since 1992, join this list because in August 2018, they successfully completed the epic Petite Trotte à Léon (PTL) together with their Danish team mate Thure Fuhrmann. One of the toughest foot races in Europe, the PTL comprises a 300km route around Mont Blanc and includes a whopping 28,000m of ascent. The entirely self-navigated course must be completed in under 151 hours. Only 300 people take part every year, all of whom have serious mountaineering credentials. Sleep deprivation, changing weather conditions, near impossible navigation and gruelling terrain all add to the test. Zoran recalls the highs and lows. “The PTL was a mixture of emotions that you barely experience in normal life. It was very emotional at the finish and while being cheered by the fans. But there was a lot of uncertainty too and fears before and during technical sections which seemed to never end. It was amazing to finish and to remember the incredible nature, scenery and views. We have huge gratitude for the volunteers and hosts at the huts and life bases. 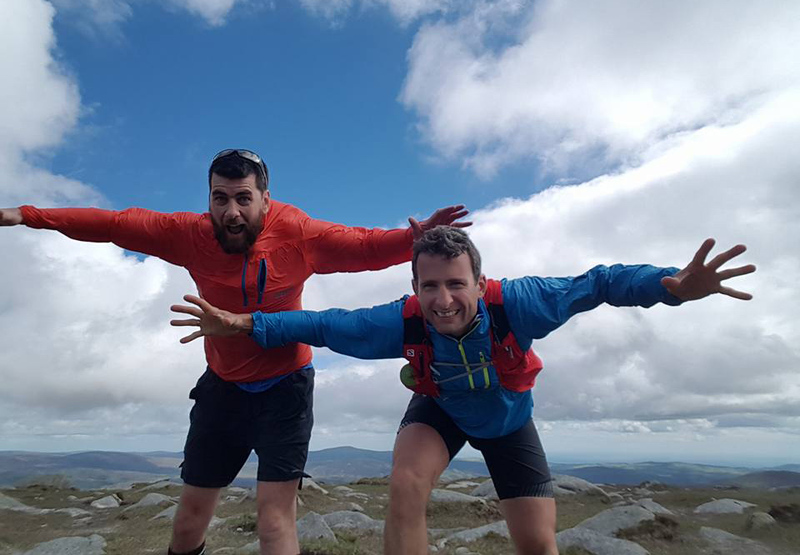 Irish adventurer Derek Cullen (36), who hails from Firhouse in Dublin, is no stranger to the trials, tribulations, bliss and elation of extreme long-distance adventures. 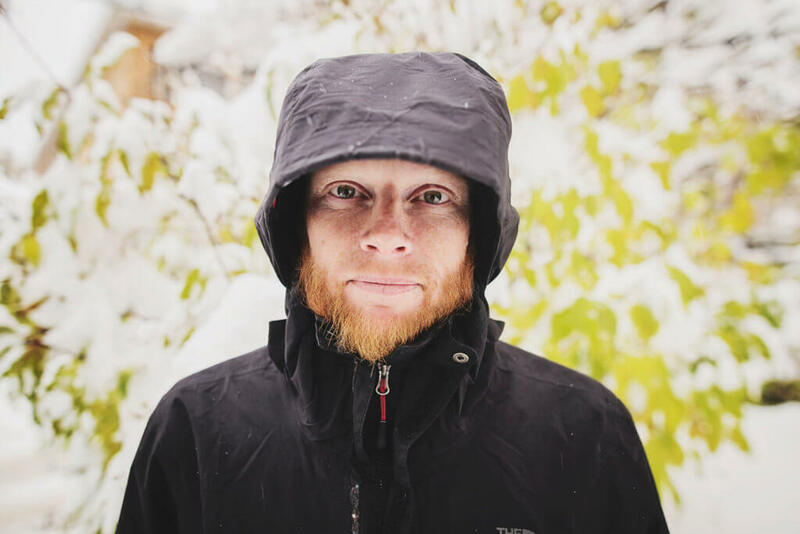 Derek’s most recent achievement saw him solo hike the Pacific Crest Trail – a 4,279km route that runs from the Mexican to the Canadian border, crossing some of the most stunning but brutal landscapes in the United States. Ranging from the intense heat of the Mojave Desert to the bitter cold of the North Cascades, the PCT is a daring feat of determination and persistence. Although the challenge took a massive physical toll on Derek’s body, the mental strength needed to complete this challenge was far more difficult to muster. “I was really surprised with how difficult it was physically. I wasn’t expecting it to be that painful and for my joints to be aching every day. But as with any outdoor trip that I’ve taken, the mental side always plays a bigger role. So, overall, the mental side of just being persistent and staying motivated, was definitely the most difficult part,” recounts Derek. Challenged from early on by ligament problems in his ankles and seriously swollen knees, Derek found it difficult to even walk, let alone hike miles upon miles lugging a backpack. At this point, his challenge became about taking his focus off how little he had done and what still lay ahead. “You realise when you come to these big mountain passes that no one is going to hike up there for you,” says Derek. “It’s just you and there’s only you out there to do it. So doing that every day over and over, that was mentally a huge, huge challenge. You didn’t just do it for a couple of days or a couple of weeks. You have to do this for four-and-a-half months. I found that really difficult to overcome and really challenging to face every day. And what were Derek’s reasons for taking on such an epic challenge? “I think the underlying reason was the reason for everything I’ve done in life, which was for my own mental health, for my own happiness,” he says. 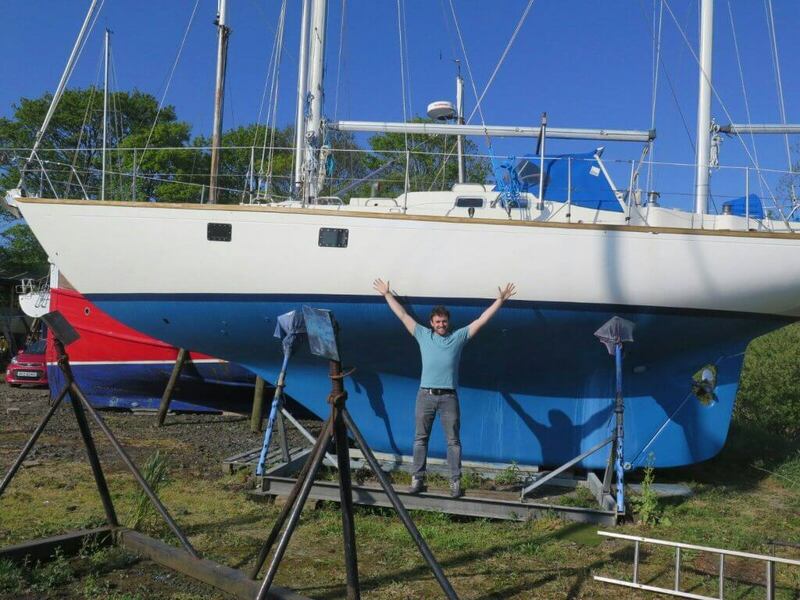 Earlier this year, Irish sailor Gregor McGuckin embarked on a solo sailing race that would test his physical, mental, and emotional stamina, pushing himself to the limits. The Golden Globe Race takes sailors on an epic journey around the world during a 30,000-mile, non-stop solo-sailing expedition. To top it off, sailors participating in this event are only allowed to race with equipment similar to kit found in the 1960s. This means no GPS navigation, no computers and no electronic autopilots. This is in honour of Sir Robin Knox-Johnston who became the first person to sail solo non-stop around the world 50 years ago. Sailing through the roughest conditions, non-stop for nine months alone would be enough to drive a man mad. However, Gregor took this race in stride and even performed some heroics along the way. While sailing in the southern Indian Ocean, an epic storm hit the race, causing Gregor’s mast to collapse. Other competitors were even more unlucky. Fellow racer Abilash Tomy was injured in the storm and upon hearing that news, Gergor promptly made a makeshift sail and began sailing 90+ miles through some of the roughest sea conditions to try and help Abilash. As it turned out, despite Gregor’s efforts, a French fisheries patrol vessel successfully reached Abilash before Gregor.